In the absence of any documentary evidence published by the government of the day the reasons for the introduction of The New Sterling Standard (note 1), now known as ‘The Britannia Standard’, for wrought plate on 25th March 1697 (note 2), apparently without reference to its suitability as a medium in which silversmiths could work, remains enigmatic. Equally mystifying is that a short twenty three years later the then government found it perfectly acceptable to re-introduce the sterling standard. The most commonly held view is that it had to do with combating coin clipping which had, by the end of the 17th. century, reached untenable proportions but this was only part of the problem and was itself overcome by the great re-coinage of 1696. 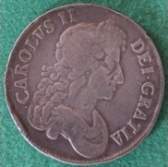 In fact the problem with which the government was faced in the year 1696 to 1697 was not coin clipping but the use of whole coin in the melting pots of the silversmiths so that there was a shortage of coin for commercial use and the government was obliged to take some action. The question is why were silversmiths using coin as their raw material at this time? An examination of the political and economic climate of the day will, I believe, throw some light on this and in this connection a brief look at the history of coin manufacture will be useful. A screw press for the production of round and even coin was invented in Italy and in use at the Rome mint in 1529. Somewhen between 1537 and 1545 it was introduced into France and in 1552 machinery was imported into France from Germany which produced metal strip of even thickness which could be used in a press. A Frenchman by the name of "Eloi Mestrell" brought this machinery to the Tower mint in London in 1561 and its failure to supersede the hammered coin, coin made from blanks cut out of hammered sheet silver and stamped with the motifs of authenticity on both obverse and reverse sides, was due only to the objections of the Hammermen who feared for their livelihoods and who had the Warden of the Mint, Sir Richard Martin, to represent them. Martin, having the ear of the court, had Mestrell disgraced and dismissed. A century later Charles II invited the Dutch mint master, Jan Roettiers, whom he had met while in exile in Holland, to follow him to England after his restoration and this he did in 1661. Roettiers was familiar with this machinery and was also skilled in its use with the result that "The coinage of 1662 was in marked contrast to the hammered series due to better rolling equipment and more efficient screw presses" (note 3). It seems that at least throughout the 17th Century both hammered and pressed coin were in issue at the same time and from 1662 onwards the facility existed to defeat the coin clippers. What cataclysmic event took place in 1696 to cause the government to call in all the country's silver coin for re-issue and what happened the following year which resulted in legislation introducing a new and higher standard for wrought plate? Throughout the 17th Century England’s largely agrarian culture was evolving into a commercial one. Both the Hudson's Bay Company and the East India Company were founded during this period, as were the West Indian sugar plantations, and at home manufacturing industry was beginning to take shape. The result was that a new social class began to emerge which required plate to furnish its tables and show off its wealth. Contiguous with this was an expanding range of silverwares introduced from the continent partly at the ‘Restoration’ and partly by the influx into this country of Huguenot silversmiths after the revocation of The Edict of Nantes in 1685. There was thus a vastly increased demand for the silversmith's skills by the end of the 17th Century and he would have needed increased supplies of silver to meet this demand. Banister states that: "The Act of 1696, aimed primarily at protecting the coinage, which was being melted down on a large scale to supply an apparently insatiable demand for plate, ignored the provincial silversmiths" (note 4). On the other hand the Mint had an increased demand for silver at the same time and this requires some explanation. When in 1695 £57,200 worth of coin was paid into the exchequer which should have weighed 220,000 Troy ounces and was found to weigh only 114,000 ounces the government realised that coin clipping had got out of hand. 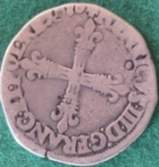 An act of Parliament was passed making the penalty for buying or selling coin clippings a fine of £500.00 and branding with a hot iron (note 5) but in spite of this legislation coin clipping continued. A declaration was also issued to the affect that by the end of the following year all silver coin of the realm would be called in, melted down and re-issued (note 6). This, of course, was an open invitation to the clippers who made full use of that twelve months grace. In 1696, as well as the special provisions made at the Tower mint in London, provincial mints were set up at Bristol, Norwich, Chester, Exeter and York and the massive task of calling in all the silver coin was undertaken. Because of the warning given to the coin clippers, when the exercise was over, the Government found itself in deficit by the enormous sum of £2,700,000 and promptly introduced the "daylight robbery" (of the) window tax in the hope of recovering this loss (note 7). All coin in issue from then on was of the milled/pressed and therefore "good" type but silversmiths now turned to using this as their raw material and this was almost certainly because there was now an acute, albeit short lived, shortage of silver for the following two reasons; on the one hand silver was being sold in Holland because it fetched a higher price there than it did in England and on the other, not only was the mint required to re-issue coin to its full face value in spite of the fact that the weight of silver called in was far less than the weight required to fulfil this obligation but there was also a sudden enormous demand for more coin. In order to finance the war with France the government had to raise funds over and above what was possible through taxation and had at first turned to a Scottish financier and entrepreneur named William Paterson who provided £1,000,000. 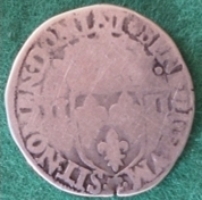 This sum, however, fell far short of what was required and in 1694 Paterson, taking advantage of legislation introduced by Henry VIII in 1545 which overthrew the church’s ruling on usury and allowed money lending at an interest rate of not more than 10%, suggested raising a further £1,200,000 by subscription. The interest rate offered was 8% and some 2000 people put money into the scheme. In order to administer these funds the Bank of England was founded in 1694. Now the bank wanted to issue promissory notes (note 8) but because doubt was cast on their use, mostly because Charles II had issued such notes to a total value of £1,500,000 but had reneged on them in 1672 causing several bankruptcies including that of Sir Robert Viner, his own goldsmith, the government turned to John Locke, the philosopher, for advice. Locke gave as his opinion that such notes would be perfectly satisfactory if covered by the appropriate amount of coin. Thus it was that people started hoarding coin and by 1697 it was in short supply. So acute was the shortage that the government offered 5s 4d an ounce (4d an ounce above the current value of silver at the time) for all wrought plate brought to the mint for melting and even considered imposing a tax on any wrought plate not so forfeited but this was deemed impossible to collect. It seems likely that faced with this acute shortage of silver the silversmiths resorted to the use of, the now good, coin in their melting pots in the absence of anything else. It should be noted that, although it seems that it had been common practice to use coin for plate and plate for coin, it had been illegal to melt coin for the purpose of the manufacture of plate since 1335 (note 9) although the practice is likely to have continued until the coinage act of 1920 and ceased then only because from that date coin was no longer of sterling standard. It seems equally likely that faced with this dilemma the Government panicked and the result was the introduction of the Britannia standard which, being higher than sterling, meant that silversmiths could no longer use sterling coin in their melting pots. 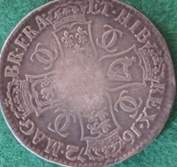 It is less easy to explain why in 1720 the then Government was happy to allow the use of the sterling standard again but a possible explanation is that the mint's need for silver declined from 1699. In that year Isaac Newton was appointed master of the mint and "under his guidance the production of silver coinage declined sharply, while that of gold coins soared to unprecedented heights" (note 10). (The precursor to the gold standard which started in 1816 and lasted until 1931). This policy continued throughout the 18th century and the production of both silver coin and also copper coin declined. Thus by 1720 demand had settled down to a perfectly reasonable working norm and silversmiths no longer needed to turn to coin for their raw material. It should be noted that although the amount of plate passing through Hall for marking declined in 1697, presumably because of the shortage of ingot silver, it was back to normal again by the end of 1698 indicating that increased supplies of ingot silver were then coming in from abroad (possibly Spain). Virtually all the changes which, throughout history, have affected the marking of plate in England have been to safeguard the public against the nefarious activities of some silversmiths. The introduction of the Britannia Standard stands alone as a direct reflection of the country's economy of the day and whatever the circumstances which gave rise to its introduction, the changes in the marking of plate in 1697 and the concomitant changes in the makers’ marks have proved useful to both the collector and the historian alike.